The Broad Exchange harnesses the power of resolve to create positive impact. 2017 was a year of extreme polarization that left many feeling exhausted or sharply divided and hungry for a better way to communicate. One that could help bridge gaps with understanding and compassion and most of all - with resolve. RESOLVE: an earnest commitment; the settling of conflict; the embracing of both our fierce strength AND our softer reasoning as a complete toolkit for leading and connecting with others. It became obvious that there was an opportunity to lead the charge. 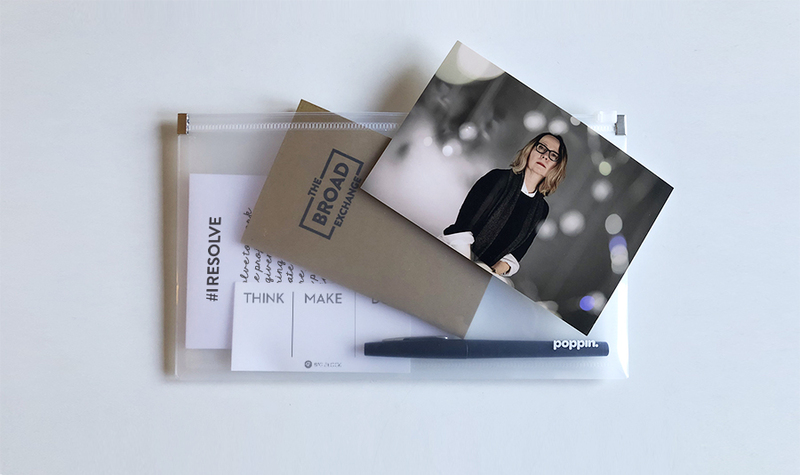 So as CoFounder of a group of female leaders in creative and communications industries, I tapped the skills of my team and The Broad Exchange to put this into practice. 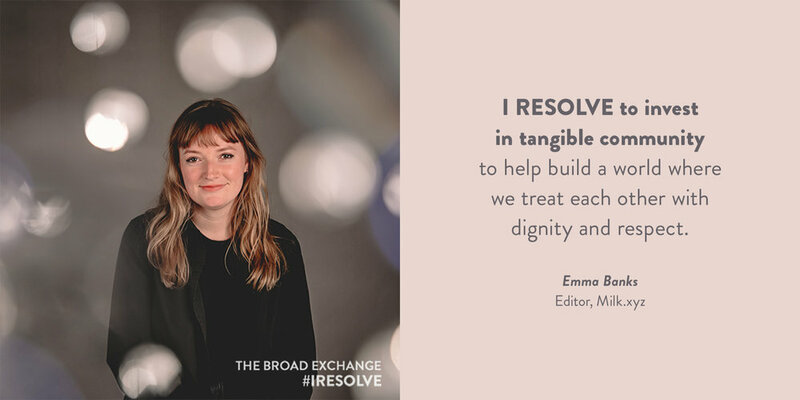 We created #IRESOLVE, a project designed to empower women to use their RESOLVE to begin addressing issues of conflict and create positive impact. It kicked off with an event-based activation where attendees explored how each could use their influence, connections and skills to better understand one another, mend the schisms impacting our society and start to shape a world that was void of those things that afflict us the most. The goal was to identify, and commit to paper, an immediate action we could each RESOLVE to do to work towards that end. We also captured each attendee’s portrait in a set designed around clear quartz crystals that helped to visually communicate the power of their RESOLVE. The images acted as an extension of the efforts beyond the walls of the event activating people through social media. And before the event was over everyone had the chance to share their commitments with each other to help build a network of support and encouragement, and on camera to spread the story of how a little RESOLVE can be put to work to create positive impact.